This Island Earth: IMDB. 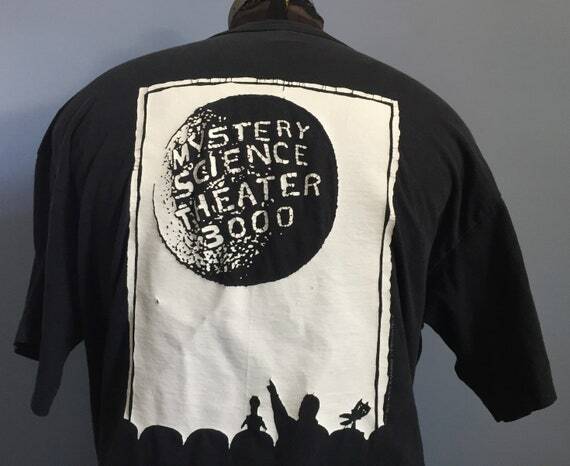 MST3K Wiki. Trailer. The Shout! Factory MST3K: The Movie Blu-Ray/DVD is great. Adam’s new Canadian horror movie podcast, A Part Of Our Scare-itage. ParaNorman [trailer] [but not the one Adam describes]. The Dana Gould Hour: Phantom of the Halloweenery. Chris’s original t-shirt looked like this one. Our episodes on the season 8 Universal Monster movies: Revenge of the Creature; The Leech Woman; The Mole People; The Deadly Mantis. The Comedy of Terrors [trailer]. John McCormack: It’s a Long Way to Tipperary . Snoopy’s World War One fantasies often include the song. Vince Guaraldi: It’s a Long Way to Tipperary. More on It’s a Long Way to Tipperary. Highlights of the Hubble’s exploration of the universe [NASA]. One astronaut who nearly broke the Hubble. The current Canadian $5 note. Raymond F. Jones: This Island Earth [the novel]. Support It’s Just A Show on Patreon and you can hear a bonus bit with more on This Island Earth, the novel.